Since the Founding Fathers envisioned a republic where the people had representation from their elected servants, there is a legitimate need for a census in order to apportion the number of congressional representatives a given state may send to Washington D.C.
Of course, we all know that in reality, the majority of our Congress-scum consider themselves the masters and us the slaves. We have a Constitutional Republic in name only. Even something as basic as a count of the population has been bastardized into a Stasi information-gathering operation. 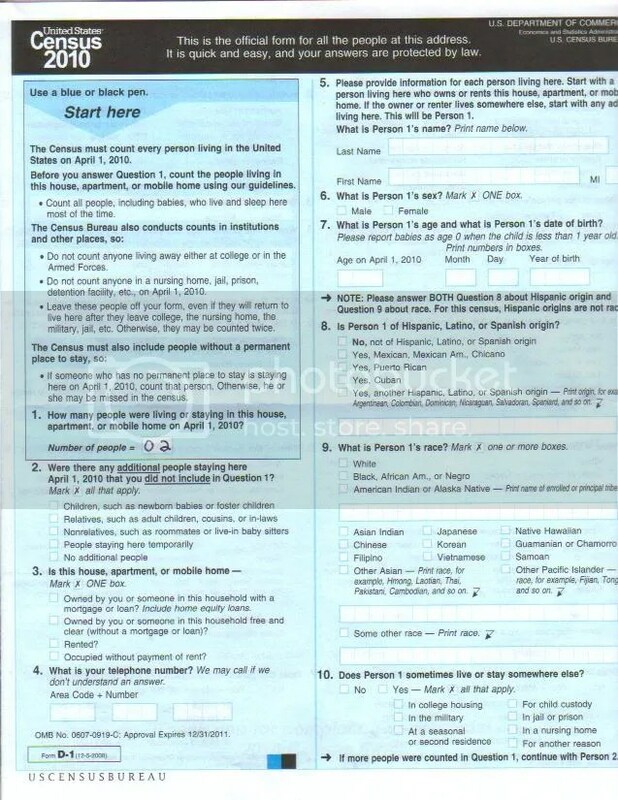 The “short-form” of the Census is more than four pages. The “long-form” is much more. The questions are ridiculously invasive. The methodology that the Census uses to intimidate the sheeple into answering their unconstitutional questions is particularly repugnant. 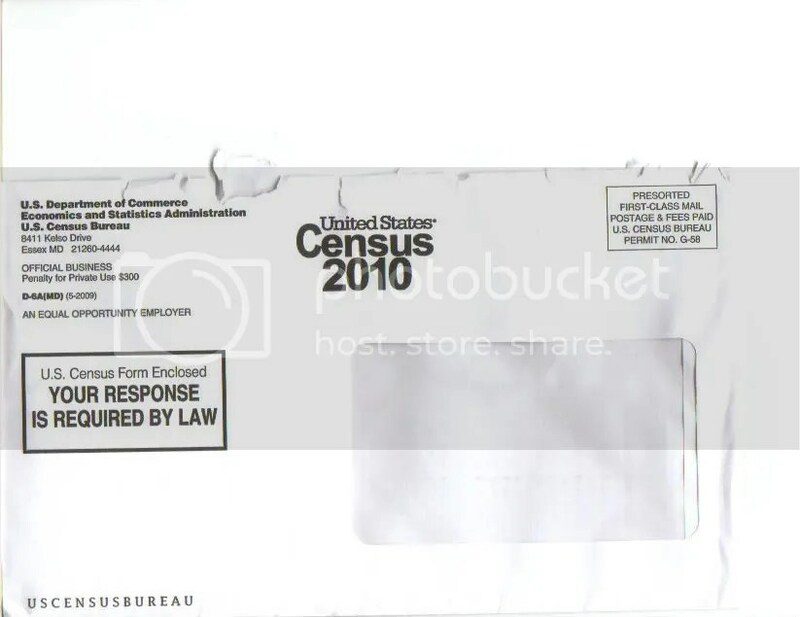 They proclaim on the envelope: YOUR RESPONSE IS REQUIRED BY LAW and that is true. What they *don’t* tell you is that the ONLY response required by law is the number of people that live at the address. That is it! They have no right to ask anything else. You are not required to answer anything else! Notice where I filled in “02” ? That is the number of people that live at my address. Notice how all the other questions are BLANK. They can go pound-sand. They do not have the legal right to ask anything else, and I am not going to volunteer any other information. I have fulfilled my duty as a citizen by enumerating the number of persons living at this address. I am not required to answer any additional questions. By the way, here is an interesting little video of someone who tried to ask the census some questions. They declined to answer any questions he asked. Why should we treat them any differently than the way they treat us? Start sending the Government a message – we are NOT your slaves. We are a free people and you will abide by the Constitution and stay within your legally defined roles. We will not be bullied or intimidated. We have had enough! One question that I think the Census should be made to answer – why have they dispatched their minions to go out and get the GPS coordinates of everyone’s front door? Be smart, be informed, and never give up one bit of your freedom or privacy. The Government is very effective at doing that without any help from you!